Is selling your products online in Japan something you have been thinking of doing but didn’t know where to start? We’ve put together a few tips on how to be successful at generating sales through eCommerce platforms in Japan, namely the increasingly succesful Amazon.co.jp platform. Japan offers a few options for eCommerce platforms. 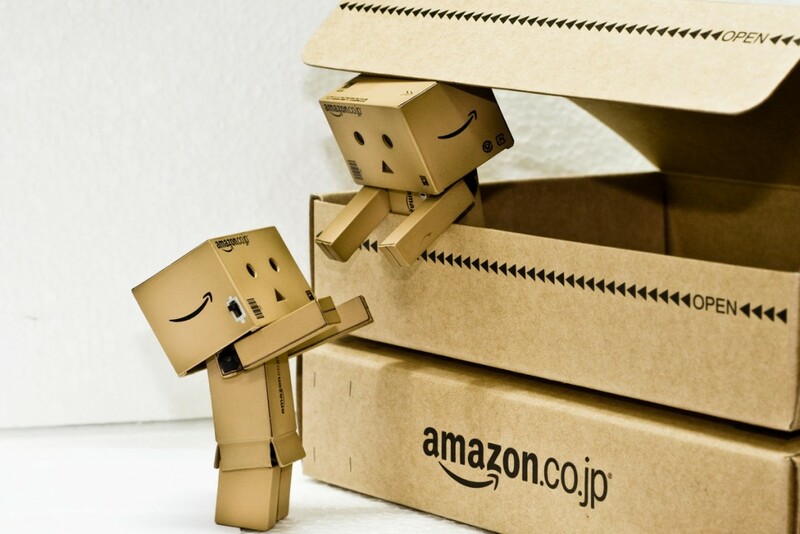 Rakuten, the native Japanese eCommerce site may have been the best known one for a long time, but Amazon.co.jp has recently experienced quite an increase in popularity as a result of its low initial cost for new sellers. Yahoo.co.jp also offers an eCommerce platform, but its reach is still marginal and the registration process is fairly complex, so the race seems to be heading for a Rakuten – Amazon finish. All these platforms have strict conditions for wanna be merchants, and in order to use them, having the right information is key to avoid costly errors. Here are a few hoops you will need to jump through and hurdles that you should be ready to address if you are about to approach the Japanese market. seller to verify the phone number and failure to respond has been reported to cause a rejection from Amazon. You may also be required to do the ungating depending on the nature of your product. Others products that have an expiration date require special handling and a special certification which necessitates taking a course given only in Japanese. Depending on your product, you will want to find a partner in Japan that can meet your product’s specific handling requirements. Getting support from professionals and finding the right company to work with can shave many weeks to your market entry process. While it is sometimes challenging to get accepted into FBA, it is one of the three most important criteria to get the Buy-Box, one of the greatest advantage you can have on your competitors, and the surest way to maintain a high Amazon Seller Rating. It is not impossible to do it yourself, but expect delays before your questions get answered by the technical support team, especially if you can only communicate in English. Getting your products into FBA, including food products and cosmetics with an expiration date can be challenging. That is why you should find a service supplier or a partner who will receive your shipment at the Japanese port of your choice, handle the shipment, take your product through custom clearance and transfer it to your warehouse. You will find that some service suppliers will act as the importer of records while others will not. If you want to sell on Amazon yourself, you will probably require an importer of record for the shipment to smoothly clear customs. Registering onto FBA requires a good understanding of its processes. It is very common to see shipments being sent back by Amazon, at the seller’s expense, because the labeling is not done perfectly, or someone else has previously registered the product through parallel import under a different code, or the product has a bar code different from the last shipment. Products with an expiration date also require a specific seller certification to be accepted into FBA. Having Japanese speakers helping you is key. Technical support via telephone in Japanese is available in real time and makes the process a lot faster, but that same service is not available in English. An easier option than FBA and a good place to get started can be to use Merchant Fulfilled shipment. Fulfillment by the merchant provides a lot more flexibility if you intend to sell on multiple online platforms or through conventional distribution channels. It also facilitates managing your inventory and shipping options, especially if you operate at both the B to B and B to C levels. FBA works well with individual item orders, but for wholesale orders, it becomes impractical and very pricy. Finding a warehouses that provides picking, packing, labelling and shipping at very competitive costs is possible but there are many warehouse companies in Japan and they are not all created equal, especially when it comes to costs. You should look for a partner who has the ability to provide support to Merchant Fulfillment through a network of warehouses located across Japan and including various type of specialised facilities such as reefer and frozen storage and shipping. Japanese language capability is an essential part of selling in Japan. Your product description, labeling, the Amazon.co.jp real time support, the interface with clients, marketing and customer service are all key components of a smooth running operation. Many market entry support company now offer free Japanese language support as a hook to get you to work with them. Look for not only translators, but Japanese copywriters working within a marketing team, who will not only translate your product description and labels but also localize and adapt the content to preserve its intent and maximize its impact on your local target audience. Customer service in Japan is a key element of building a successful business. Needless to say that providing service in Japanese is essential and having someone on the ground who can troubleshoot customer service issues in real time is the cornerstone of an effective CS structure. Whether your product requires around the clock attendance or whether it requires a very minimal level of support, there are many companies that provide outsourced customer support and aftercare services. If your product requires a more hands on approach, staff dispatch agencies are very common and allow you to scale up or down fairly effectively as is appropriate for your company. Handling customer returns from abroad can be very challenging. The cost of return shipment alone makes this a non-starter. Amazon offers the possibility to either return the product or destroy it. Most service providers out there should be able to receive returns on your behalf and wait until it makes sense to either return them to you, of execute your instructions on how to handle the returns. A company that operates warehouses is usually able to either dispose of the returned item or consolidate returned items into a periodical shipment back to the manufacturer or exporter. Along with offering the cheapest price and being on FBA, one of the most important components of getting the buy box is the Amazon Seller Rating. Criteria used to rate you as a merchant are the packaging and shipment of the product, the level of customer service, when applicable, and the speed of issue resolution. Rating is provided as a percentage expressing the ratio of negative, neutral and positive feedback. Experienced merchants have hundreds of ratings which allows them to dilute any negative rating they get, however, when you are just getting started and still have limited feedback volume, receiving a negative rating can be devastating and make for a very long way back up above the 90% rating where you ideally want to be to compete, which is also the minimum rating required to be eligible to own the buy box. Partnering with an existing store on Amazon is a good way to avoid all the Seller Rating related pitfalls by leveraging someone else’s excellent reputation. amount threshold. Most companies will be able to provide monthly or bi-weekly report on inventory and sales allowing you to establish the desired frequency of payment and restocking. There are other ways around this issue as many specialised service providers are coming into the market to facilitate fund transfers, but it can be hard to understand what is the best solution for you. Go ahead and reach out to those service providers, get a quote, and pick the one that fits your needs best. Law firms and accounting offices vary greatly from one to the next. Approaching a legal and accounting service provider can be challenging as there are so many, all specializing in distinct fields. Rather than trying to identify the right law or accounting firm, it might be more practical to deal with an agency that has established relationships with many firms and understand that each inquiry requires a specific expertise. Most standard inquiries such as brand registrations, safety standards certification, and company incorporation can usually be handled internally by market entry support firms, but they rely on a local network of specialists when it comes to more complex issues. Avoid the aggravation of trying to identify the best law or accounting firm. Talk to a market entry support company that will help you identify the firm that offers the best solution for you. So your product is now listed on Amazon.co.jp. What next? It needs to be marketed! If consumers do not know it is there, how will they find it? You should consider having a brand website in Japanese, a necessity if you are serious about selling in Japan, and it should be linked to all well-known Japanese social media platforms and ecommerce platforms. Having Japanese copywriters experienced in writing product dedicated blogs using the best search terms and sophisticated proprietary search engine marketing methods, is key to make a successful launch and continued sales in this market. You will find few companies that can integrate all the elements discussed above and also provide the capacity to coordinate comprehensive digital marketing campaign to launch your product and generate sales, but they are out there. Make sure that you find a local partner who can achieve a high level of visibility for your product, generating leads and sales steadily from a very early stage.